BAVARIA, Germany — Ayinger Oktober Fest-Märzen – an ode to barley malt, one of the world’s most highly-respected märzens, and the top-rated German Oktoberfest/Märzen at ratebeer.com – is being delivered now to a store, bar or restaurant near you! Oktober Fest-Märzen delights the senses: this full-bodied, amber-gold colored, deep lager offers a bouquet that blends hearty German barley with elegant hops and impressive richness. Spiced with enough hops to make it snappy and thirst-quenching, Fest-Märzen shows classic Bavarian style and the elegant Ayinger signature: inviting, rather than aggressive, bitterness. This wonderful limited-production seasonal lager sells out every year – get it now! ABV: 5.8% IBU: 21 OG: 1.054. Sold in 4-packs of 330 mL bottles (11.2 oz. – six 4-packs per case); 500 mL (16.9 oz.) 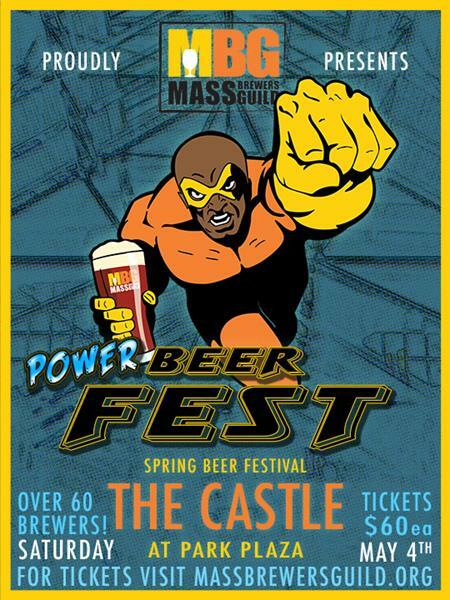 bottles, and 30 liter (7.92 gal) kegs. 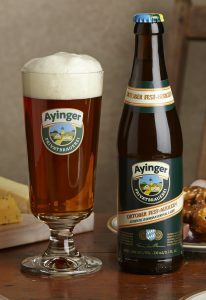 Ayinger Brewery was established in 1878 in the village of Aying, in the foothills of the Bavarian Alps. It’s still owned and operated by the founding family. Merchant du Vin imports Samuel Smith’s from England; Traquair House from Scotland; Ayinger and the organic beers of Pinkus from Germany. Our offerings from Belgium include Lindemans lambics, Green’s gluten-free beers, Du Bocq and the Trappist beers of Orval, Rochefort, Westmalle and Zundert.